Everyone is on social media these days, right? Well, not quite. Clutch recently sent a survey to 350 small business owners and found that nearly a quarter of them still don’t use social media for business. But of the ones who do, half of them plan to branch out to additional social networks this year, so social media usage is definitely still growing. Here are some other interesting discoveries in the 2017 Small Business Digital Marketing Survey. How Many Small Business Owners Use Social Media? 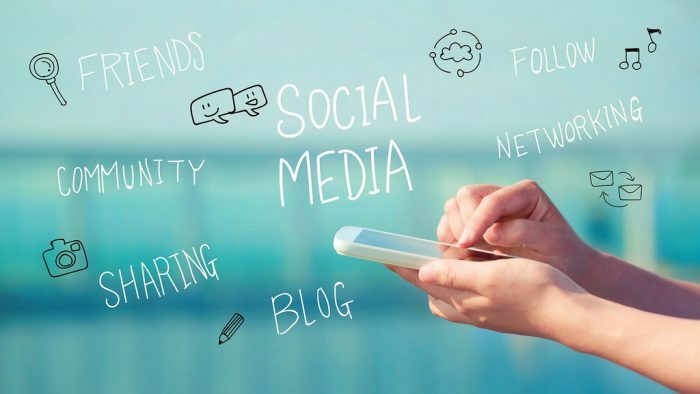 Clutch found that 48 percent of survey respondents have been using social media since before 2016, and 28 percent began in 2016, which means 76 percent use social media for business right now. Of the 24 percent not on social media right now, 13 percent plan to start this year, and 3 percent are thinking about it for 2018. But still, 8 percent said they probably won’t ever use it. This means those small business owners will be missing out on the three social media benefits that Clutch pointed out, which include cost effectiveness, the ease with which you can target customers, and its increasing popularity. Who knows, though? Maybe they’ll come around. After all, a whopping 28 percent didn’t use social media until 2016! What’s the Most Popular Social Network? If you guessed Facebook, you’re right. Facebook is nearly always the answer to this question, probably because it has almost two billion users and a user-friendly advertising platform. This survey found that 91 percent of small business owners who responded use Facebook. The next most popular platform was pretty far behind since 55 percent said they use Twitter. The rest are close, with 52 percent using Instagram, 47 percent on Google+, and 44 percent on YouTube. Just 29 percent use LinkedIn for business. How Often Do Small Businesses Share Content? If you’re going to use social media for business, it’s important to do it right, and this means sharing content often rather than letting the page go stale. Luckily, this survey found that 41 percent of respondents share content several times each day, which is great. About 23 percent share once per day, which is also good. But 27 percent only share content once per week, and 2 percent do it monthly. Another 4 percent are simply inconsistent when it comes to sharing. Such businesses could probably use some help with their social media, since appointing someone to share content on a regular basis will keep readers coming back for more. While there’s no magic number for how often you should update your page, in general it should be at least once per day on sites like Facebook and Instagram. With Twitter, it’s best if you can update it a few times each day since content moves so fast there. How Do Small Businesses Measure Social Media Success? Clutch discovered that in order to know their social media efforts are working, 25 percent of respondents look at audience growth. Another 25 percent want to see more clicks to their website. About 20 percent said they look for better engagement, such as likes, shares, comments, etc. while 15 percent measure ROI. Just 12 percent measure success by the number of posts they have, and 1 percent don’t track metrics at all. The reality is that you’re not going to see social media success overnight. It’s a long-term path to an increase in profits. Focus on building up your community of followers by offering them valuable posts on a regular basis. It might take six months or even a year, but eventually you’ll see more interest in your company and therefore more sales, thanks to the increased exposure brought on by social media. You can read more about what Clutch discovered on this subject by checking out the 2017 Small Business Digital Marketing Survey. And if you’re a small business owner, let us know about your own experiences using social media for business. Do they match the findings of this survey?